Luxury Hotel California in Paris, FRANCE! Bid Per Night and Choose Your Length of Stay! 2018 Luxury Hotel California in Paris, FRANCE! Bid Per Room Per Night and Choose Your Length of Stay! at Hotel California in Paris, FRANCE! Explore the City of Light from a venerable position. 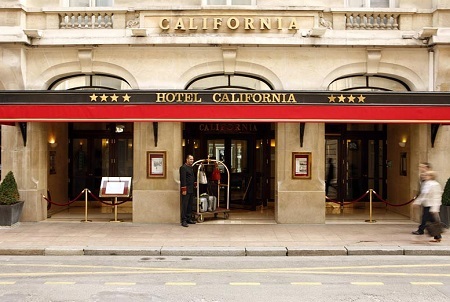 Hotel California Paris Champs Elysees is centrally located, a luxury Paris hotel minutes away from the Champs Elysees, tourist attractions, businesses, and Metro stations. Experience the hotel's classic 1920's Haussmann-style façade, or enjoy the 3,000+ art collection amassed over the years. 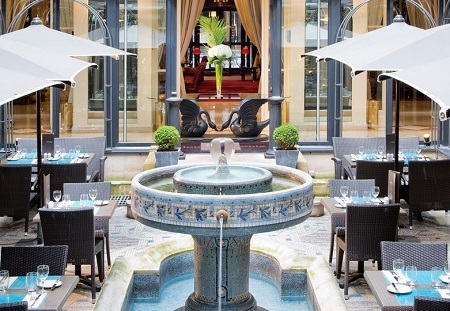 This contemporary Paris hotel provides the perfect accommodations for a Paris vacation. 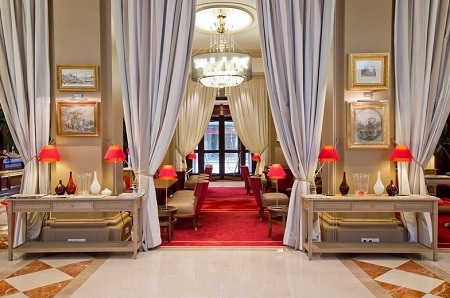 Book Hotel California Paris Champs Elysees for its ease and impeccable service. Hotel California Paris Champs Elysees offers several Paris restaurants for guests to enjoy during their stay. Guests may choose to dine in the hotel lobby or on the seasonal patio amid the sun's rays. The Lounge Bar and Patio features a creative menu that offers the best and freshest of local French produce and products, with light bites to indulge any palate. Travelers can enjoy a dignified view of the hotel while sipping an eclectic cocktail, or gaze out at the hustle and bustle of Paris from the spacious patio, which is open seasonally from April through October for lunch and dinner service. Hotel California Paris Champs Elysées offers luxury Paris accommodations. Many of the 172 guestrooms and junior suites have great views overlooking the city from the private patio. The accommodations at Hotel California present beautiful furnishings reminiscent of classic French accents and modern amenities. 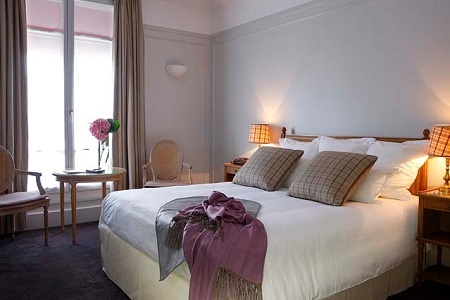 Offer is based on single or double occupancy in a Classic Room. Hotel California Paris Champs Elysées, Classic Room, 20 sqm-Queen size bed- Flat Tv -Air Con-Non Smk In room Coffee-Tea facilities- DockIng station.